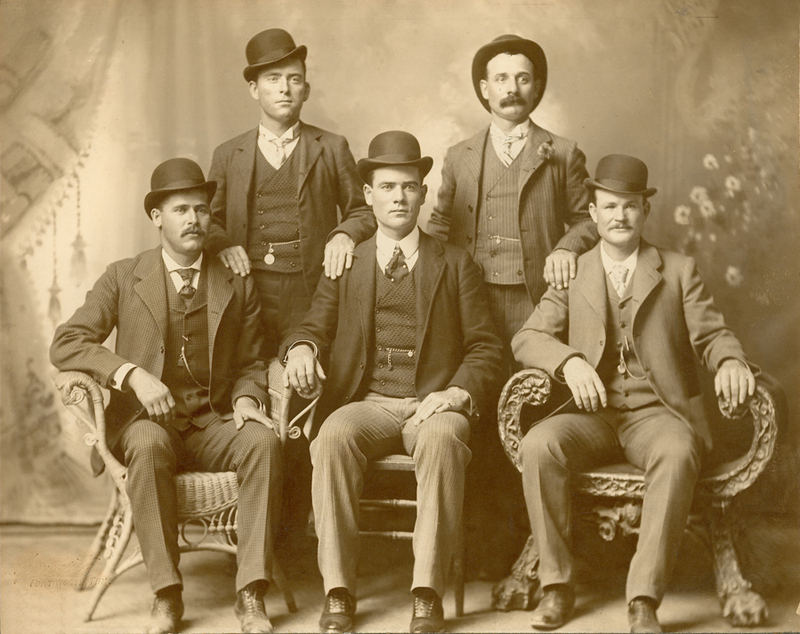 Front row left to right: Harry A. Longabaugh, alias the Sundance Kid, Ben Kilpatrick, alias the Tall Texan, Robert Leroy Parker, alias Butch Cassidy. Standing: Will Carver & Harvey Logan, alias Kid Curry. 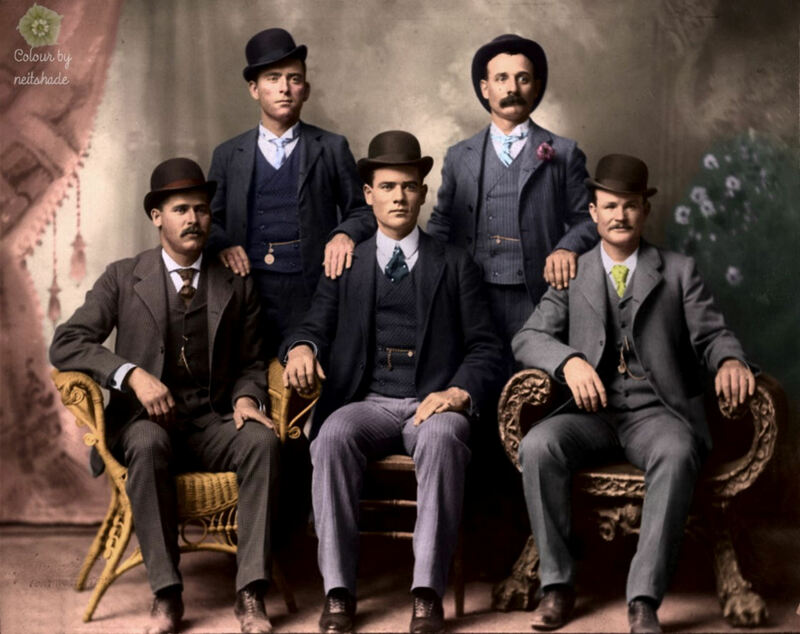 Photo taken at Fort Worth, Texas, in 1900.